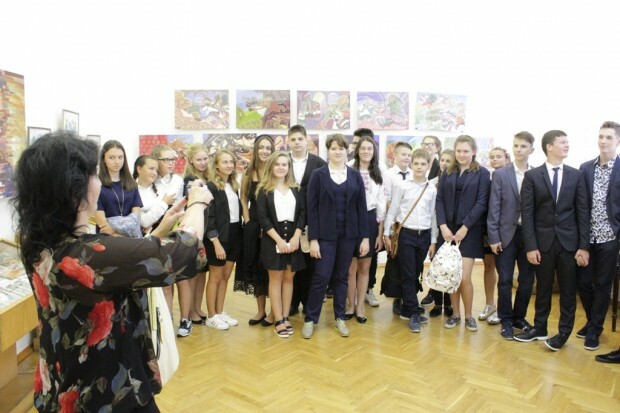 As always – over the last thirty years – the first day of the school year visited the museum pupils, students and teachers. In the morning the museum hall filled with an atmosphere of joy and celebration. Do this day the museum was prepared in advance and in a special way. For young visitors were organized various cultural program. In the exhibition halls visitors expected seven diverse exhibitions. 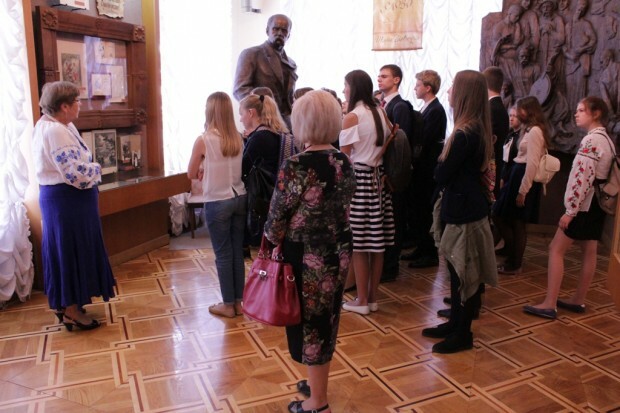 High school students were particularly interested to know more about the writer, scholar, public and political figure Dziuba and see the exhibition “… Touch the person”, dedicated to this extraordinary figure. The feature of this year’s Day of Knowledge was the museum project “Franco Fest”, in which there are a variety of events. The great interest in the exhibition organized by the 160 anniversary of the birth of Ivan Franko: “Ivan Franko: the idea of ​​the state” and “Books – deep sea …” (John Franco. Book graphics). Lyceum students and Lyceum-drahomanivtsi international affairs (Kyiv lyceum №51) with interest wondered rare artifacts, unique books, photos, and Memoria Ivan Franko. Young intellectuals peering closely at the manuscript writings and letters of the writer, the documents in his embroidered ornaments. 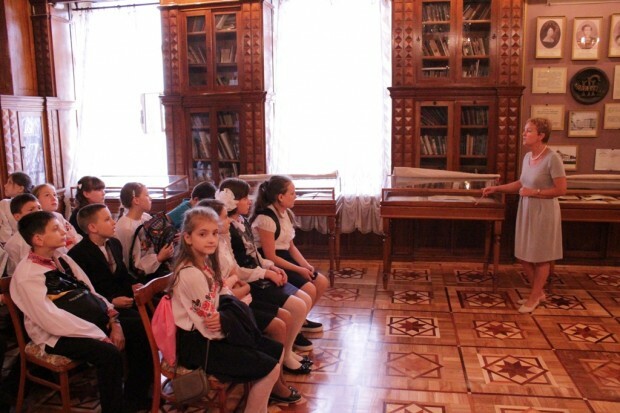 When traveling museum rooms visitors learn more about staying Ivan Franko Pavel Galagan College and Olga Horuzhynskoyu wedding in the church of St. Paul, saw the scientific reconstruction of the iconostasis of the church. Updated Frankivsk exposure and rare exhibition of materials known Franko and Pavel Galagan College aroused great interest also in odinnadtsatiklassnikov of g.Vishnevy (school №2). 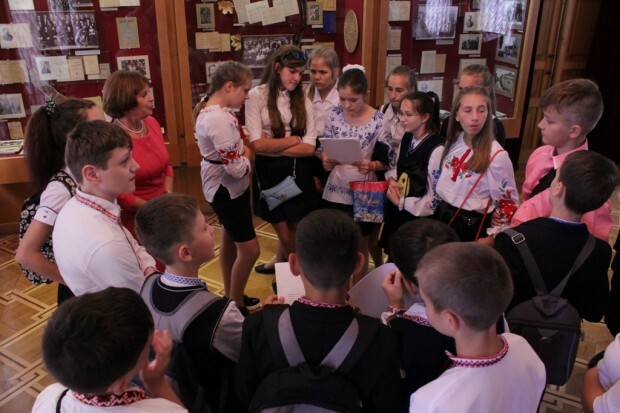 On this day the museum visited Kiev many students that participated in specially organized for this holiday interactive tour “Ivan Franko known and unknown” and Frankivsk flashmob “We live time for Ukraine.” In particular, the students of the Kiev school №163 with great enthusiasm vidhaduvaly Frankivsk literary crossword puzzles, playing fairy tales of “Dark Fox”, competed in the best reading poetic texts. 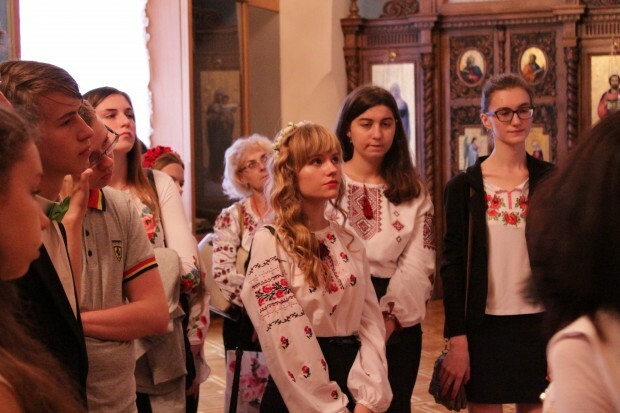 Ukraine’s Independence Day Celebrations and knowledge of teachers and students of the Kiev Art School №2 named. M.Verykivskoho prepared a gift for our visitors – organized an exhibition of creative works “Children greet you, Ukraine!”. Nobody remained indifferent to the exhibition from the collection of angels Lugansk museum “museum wings,” because most cherished dream for all of us today is to return to Ukraine and angels awaited peace. As in everyday life, and in this holiday nobody rounded “volunteer hive.” Schoolchildren, students, teachers helped “Bee Museum” weave camouflage nets and kikimora for our soldiers. And volunteers shared their memories of school. By evening, the museum heard children’s voices ringing, fascinated colorful embroidery. The museum dominated the festive and joyful atmosphere. Copyright © 2019 National Museum of Literature of Ukraine. All rights reserved.